As a fully integrated spray boom supplier, Specialty Enterprises offers a number of services to complement our ultra-durable Millennium spray booms, including: powder coating, plumbing and installation, and after-market field service support. Specialty Enterprises excels at providing innovative sprayer boom solutions to meet the varied demands of our customers! Have a need for a unique product or perhaps a modification to any of our standard spray boom products? From one-of-a-kind boom spans to out-of-the-ordinary nozzle spacing & unique sprayer boom accessories, we stand ready to meet even the most demanding requirements. 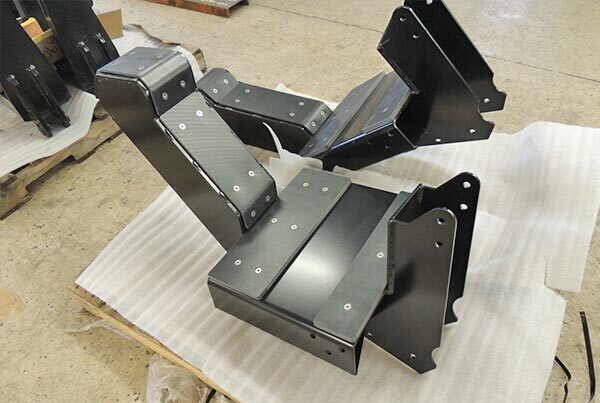 Boom cradles: Sprayer boom cradles are included with all boom orders and are custom built to adapt to any machine/sprayer. Includes DOT safe locking mechanism. 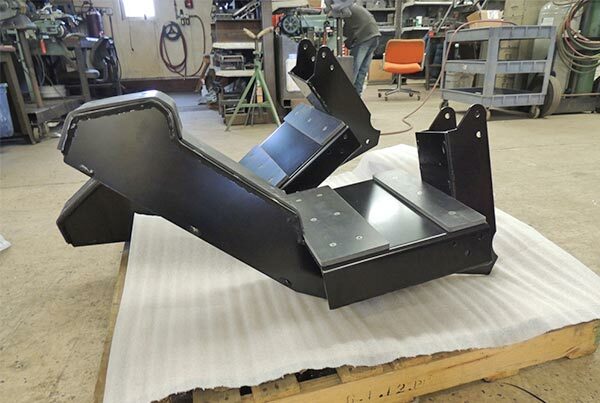 Bracketry: These attach the booms to the center section, and we will adapt to any center section. Hydraulic hose kits: Our aluminum spray booms come with custom-fitted hydraulic hosing already plumbed and installed, and with hydraulic lines already attached to fold-cylinders. We can accommodate a variety of brands, including Wilger, Hypro, Tee-Jet, etc. Nozzle Bodies & Spacing: Our Millennium booms can accommodate virtually any nozzle body or spacing arrangement. Contact us to learn more about custom options/patterns/arrangements. 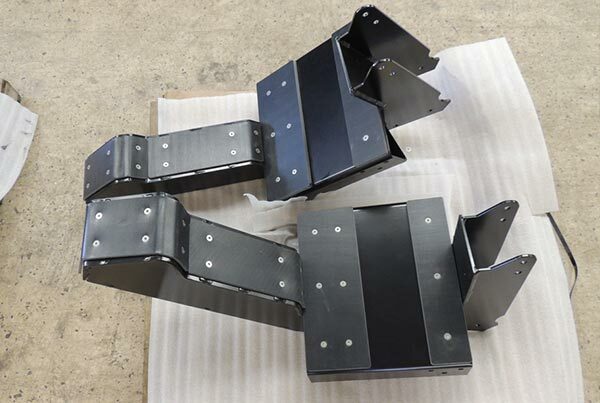 Accessory Bracket: Accessory brackets are typically used for mounting height sensors, telemetry (precision farming), etc., and we can make accessory brackets to fit any need.